This authoritative resource in provides nurses and healthcare professionals with a comprehensive overview and analysis of self-neglect in older adults. 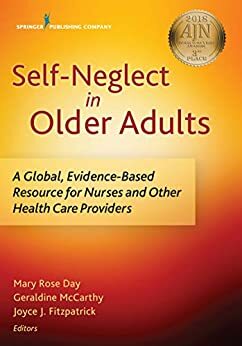 With an aging global population, self-neglect is emerging as a complex problem that crosses multiple disciplines of health and social care. Characterized by a harmful inattention to health and hygiene, self-neglect manifests in a variety of ways across the world that healthcare professionals need to be able to recognize and manage. The only text with the latest analysis of theoretical perspectives, research, and evidence from global leaders in the field, chapters tackle the interdisciplinary problem of self-neglect to deliver current professional practice tools and clinical practice interventions. Replete with case studies that examine the ethical, legal, and medical issues of self-neglect, the content is immediately applicable to researchers and clinicians. An extensive list of contributors from the U.S., Ireland, England, Scotland, Australia, Israel, Canada, and Korea include respected researchers, practitioners, and academics from multiple health and social care disciplines along with health and social care services who have played a critical role in advancing research, public awareness, and policy on self-neglect. 5.0 颗星，最多 5 颗星Amazing resource! I love how humanely the author introduced the topic and the amount of information far exceeded my expectations. I am a home health OT working primarily with patients with moderate to severe psychiatric difficulties and this has been a helpful resource and something I've recommended to many coworkers.I've since lent this book to a friend in the hopes1 they will have a little more compassion by becoming more knowledgeable of their family member's difficulties. It worked!